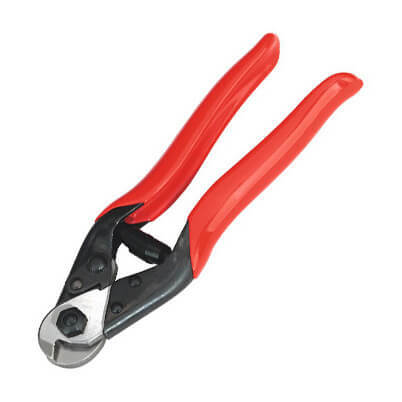 Good quality budget hand held wire rope cutters for up to 5mm stainless steel wire rope. High carbon steel blades, hardened, tempered and polished. Cuts up to 5mm wire rope and 1.5mm spring wire. Spring loaded handles with vinyl grip and safety lock. Bought to trim the wire on a trellis. I found it was really good and gave a nice clean cut. Great value for money and do what they say on the tin! Does a great job with minimal fraying at the ends. Good tool - cut through the wire with comparative ease. Used for 9 cuts. Made nice clean cuts on 4mm stainless rope. Well built, but it takes some effort to cut the 4mm stainless 7-braid cable. This is not a tool that I will use very often in the future but an essential investment for a clean cut. Great piece of kit, just the job for cutting the wire rope. Good quality product. Robust and I think essential if you are going to install the trellis kits yourself. Did the job for me 40+ cuts of 4mm SS wire. Well make and strong and fit for purpose. Excellent tool, cut through the cable cleanly. Perfect for the job intended. Straight forward product easy to use, cuts through the 5 mm wire rope with ease. Don't know how long the sharpness of the blades will last as I only performed a few cuts before I finished the job. 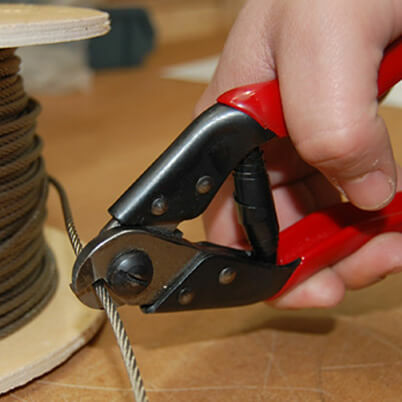 A handy tool and makes cutting the wire a simple and quick task, with no fraying. Used once to date and found it easy to use and effective. Its an OK wire cutter nothing much else to say. Produces clean cuts...would recommend it if you have a wire rope project on the go! This did the job of cutting the wire rope very easily, and as there is nothing worse than trying to force your way through metal when you're doing a job, and hurting your hands doing so, it was a great bonus to have these along. The only thing I would say otherwise is that if you only cut a little of the end, to tidy fraying for example, the little pieces of wire can spray out in all directions, so just take care if you do that. Wear safety glasses. Does what it says on the tin - very precise neat cuts. Really glad I bought this tool. It gives a nice clean, tidy cut which I would not have managed easily by other means. Well made and very sharp. Cut the cables very easily. I only used them for 14 cuts so cannot vouch for how sharp they would be or how well they would cut 50 odd cables. You really need to buy them with the balustrade wire kit as it makes fitting the cables very easy. 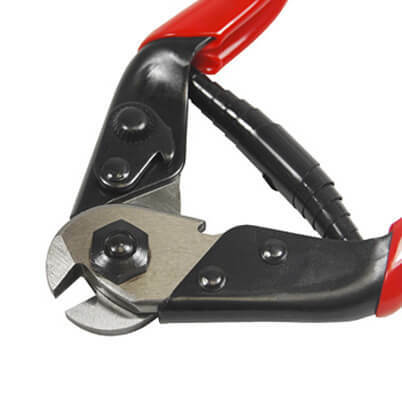 at last a wire cutter that cuts wire!! 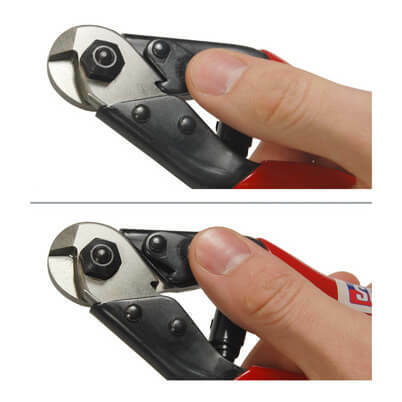 These are reasonable priced good quality cutters, They are easy to use and provide excellent excellent performance and remain very easy to use even on on 5 mm wire. Did the job - made a neat cut & reduced fraying. Using the wrong implement will ruin the effect. Don't use any old pliers.